Tegshee Munkhtegsh, or “Nathan” as he wants to be called, became one of my closest friends in Mongolia. 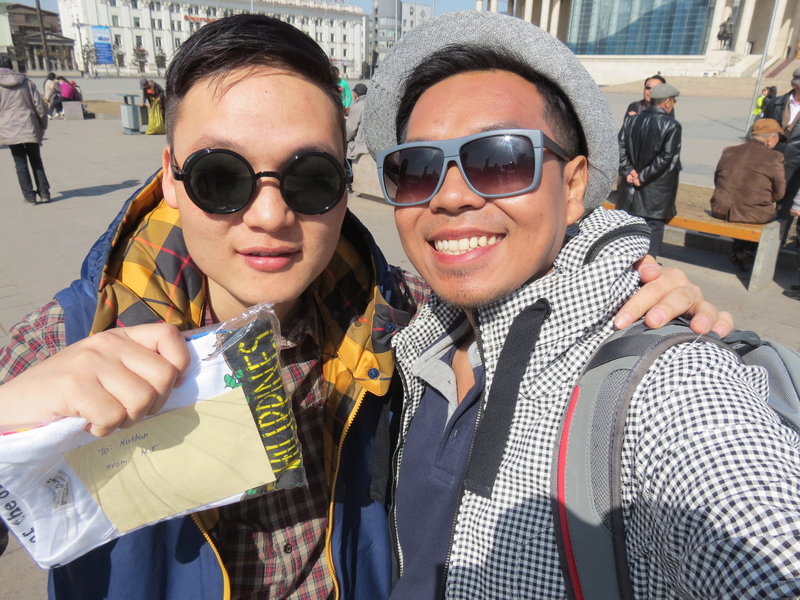 He is a Finance Management student whom we first met in Sukhbaatar Square. He is a national essay champion who has not only authored books under his name, but also competes for national debate tournaments. It was hard to get a schedule with him, especially with his concurrent exams and TV interviews but one night, I was able to have late night coffee with him. That’s where I found out that although he’s a very accomplished person, he still feels like something’s missing in his life. I shared to him John 10:10 where Jesus said He came to earth to give us life and have it to the full. Our conversation eventually led to the point that no matter how successful (or famous or wealthy) we are, our hearts would always strive to fill an empty void that only God can fill. That we shouldn’t settle for an “OK” life when we can have one that’s full of peace, joy, and love. Nathan acknowledged his need for a full life that night. He accepted Jesus Christ as his fulfillment, his Lord, and his Savior. That night left me with nothing but good vibes. It was an overwhelming proof that absolutely everyone needs God. Up until now, I’m still able to talk to Nathan online and encourage him as he embarks a new season as he takes up his master’s degree in Taiwan.